April 5, 2016 April 1, 2019 - The 'Noms. A great combo cocktail of ginger cherry, mixed with gin! 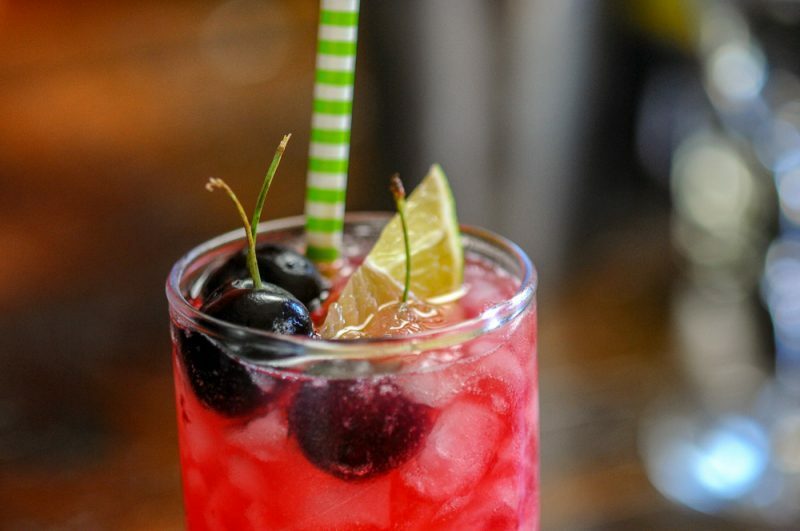 This cherry gin cocktail is perfect for spring! With two boys playing sports and the two of us being active in lots of organizations, our weekends can get rather hectic, especially for our boys who sometimes need a little treat in the afternoon to help them refuel. 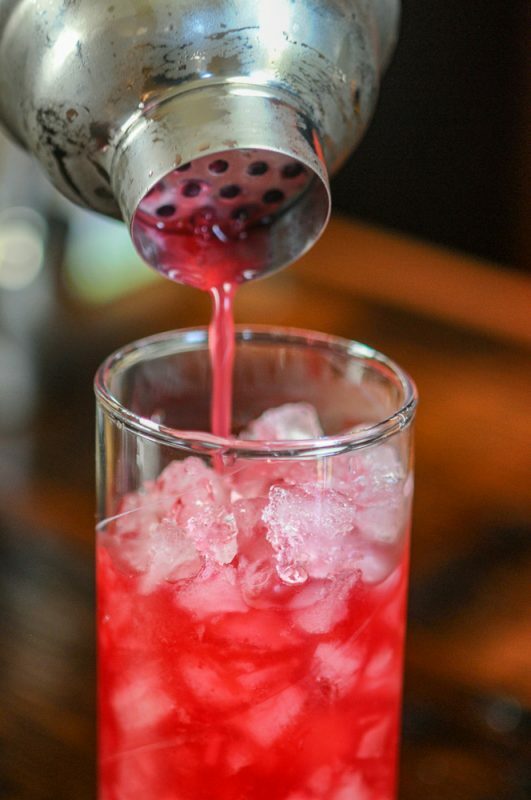 One of their favorite things to grab is a cherry limeade, the combination of the sweet red maraschino cherry syrup and limeade a refreshing fizzy drink. While this is great for the kids and perfect for an afternoon refreshment, but sometimes you want to have something a little more appropriate for an adult! We decided to make an adult version of cherry limeade that might fit this bill! 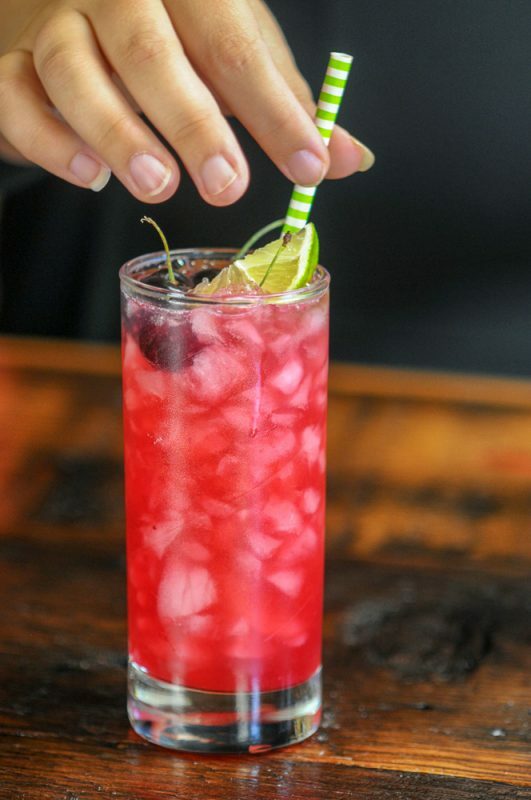 Using fresh spring cherries with their beautiful sweet and tart red juice, bright herbal gin and a bit of ginger to cut the sweetness, our Ginger Cherry Smash brings the tart sparkling flavors of an adult cherry limeade to your glass! Also try our Strawberry Limeade Gin & Tonic which is like this one! A lot of folks are intimidated by drinks that use gin because they remember smelling (or tasting) their grandpa’s drink which used the cheapest gin that reminded your of Pine-Sol and socks. 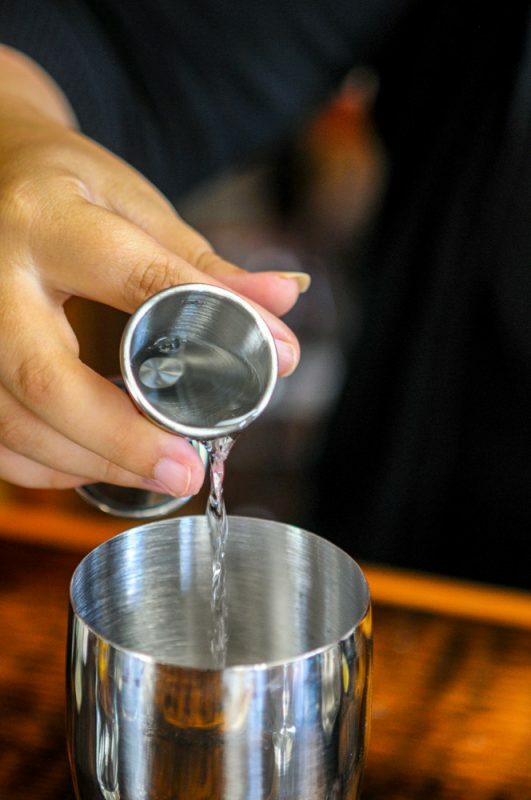 Gin these days is entirely different as there has been a revolution in the distilling world and gin offers a wonderful place for distillers to bring better flavors to your glass, making the gins of today definitely not your Grandpa’s gin! Some of our favorites are Hendrick’s, Broker’s or the Botanist. 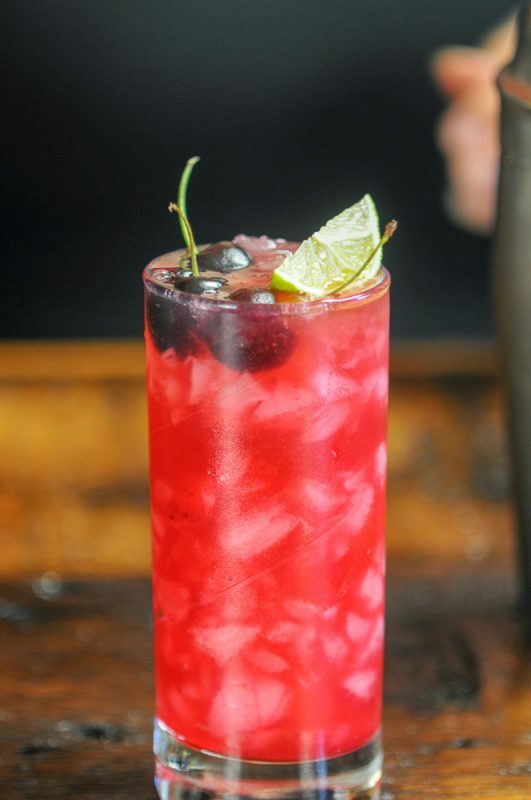 What Ingredients are Needed for the Ginger Cherry Smash Cocktail? 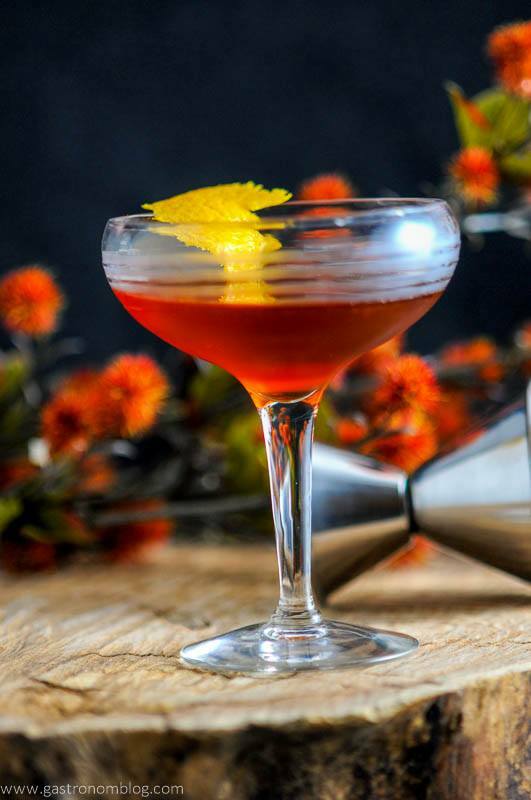 We used Broker’s London Dry Gin in this drink. Broker’s is a great gin for folks who want to step into the world of gin as it is a great citrus sweet gin with a nice dry herbal finish similar to a dry white wine. 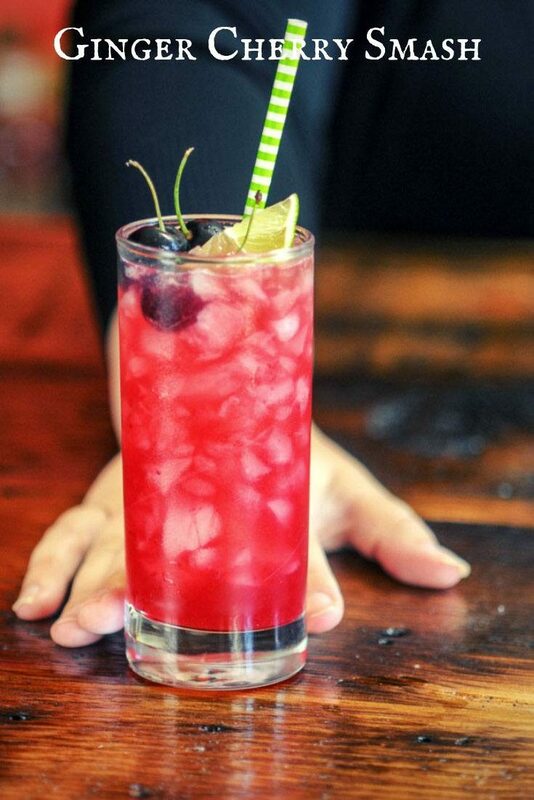 The bright citrus notes work really well with the limeade, and is a perfect base for our Ginger Cherry Smash. 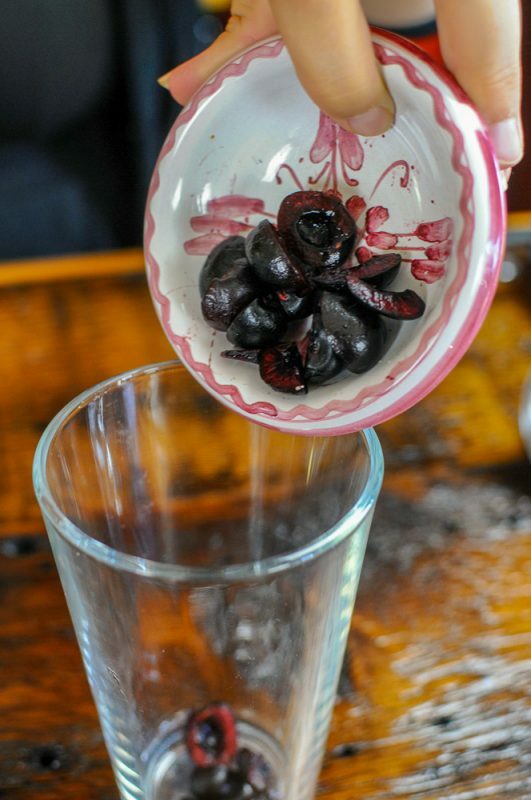 We start out by muddling (smashing) pitted cherries and some granulated sugar in the bottom of a shaker tin. Adding the granulated sugar in with the cherries helps pull out the juices of the cherries, as well as act as tiny little knives and help break the cherries down. 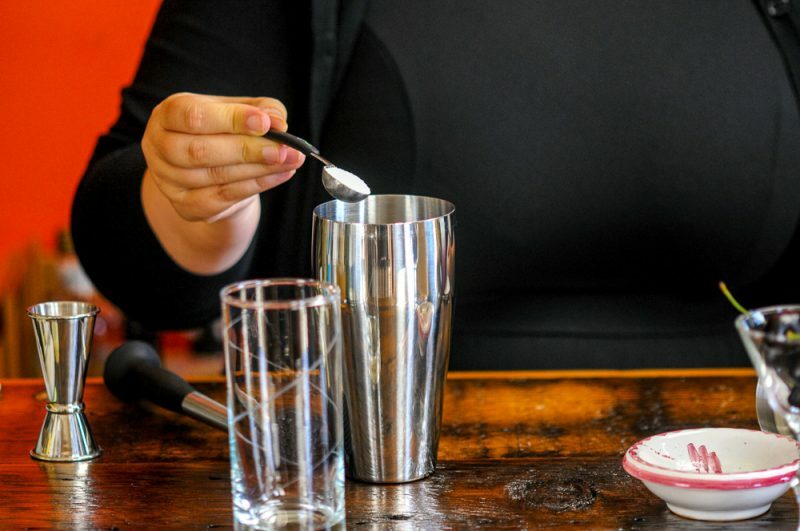 Using the sugar like this is a classic cocktail technique as it adds sweetness with out a lot of dilution that the water in a simple syrup can cause. After the sugar is fully dissolved in the cherry juice, we added in the fresh squeezed lime juice, ginger liqueur and gin. The ginger liqueur helps control the sweetness while adding a spiciness that adds complexity to the drink and works really well with the lime and gin. Topping the mix with crushed ice and a splash of club soda gives the drink a fizzy finish that makes this cocktail quite the refresher! 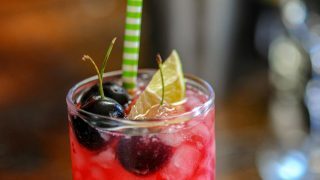 A delightful combination of cherries, ginger liqueur and lime juice, this is perfect for warm summer days! Muddle cherries and sugar in a shaker. Muddle until the sugar is dissolved. Add lime juice, ginger liqueur and gin. Strain into glass with ice, top with ginger ale or club soda. PIN THIS GINGER CHERRY SMASH RECIPE FOR LATER! I have become such a big fan of gin lately – it has actually surpassed vodka in my bar cart!! This is a great recipe! We agree, and if you would have told us that 3 years ago I wouldn’t have believed it! Thanks for stopping by, cheers! For some reason, my boyfriend has a huge bottle of gin and I wanted to use it for something more fun than a gin and tonic – this sounds perfect, love the combination of ginger with it too! LOL, those darn bottles just sitting around! Hope you try this one! Cheers! This sounds really good and I love the pink color! Thanks! Yeah, the cherries made it so pretty! I am getting more into gin lately!! I need to try this!!! Thanks, we understand that! Cheers! MMh , sounds and looks delicious! Gin is really growing on me. Thanks so much! 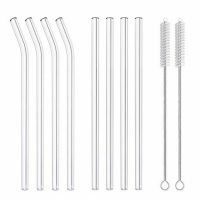 We have really learned to appreciate it in our cocktail journey! Cheers! Nice! Hope you have tried it! We love this one, and hope you do too! 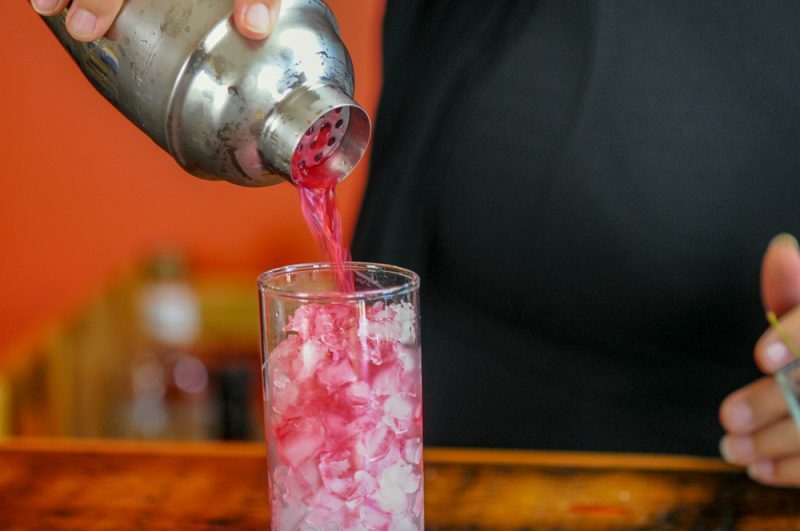 That looks like the perfect girls night out drink … AND it’s pink. If it wasn’t before lunch I and a weekday I would probably make me one LOL Looks super delicious. I want one now, please! This looks and sounds like the perfect drink to serve at spring event! Thanks, me too! Bartender, LOL! It’s a great spring drink! This looks exactly like the kind of drink I would like! 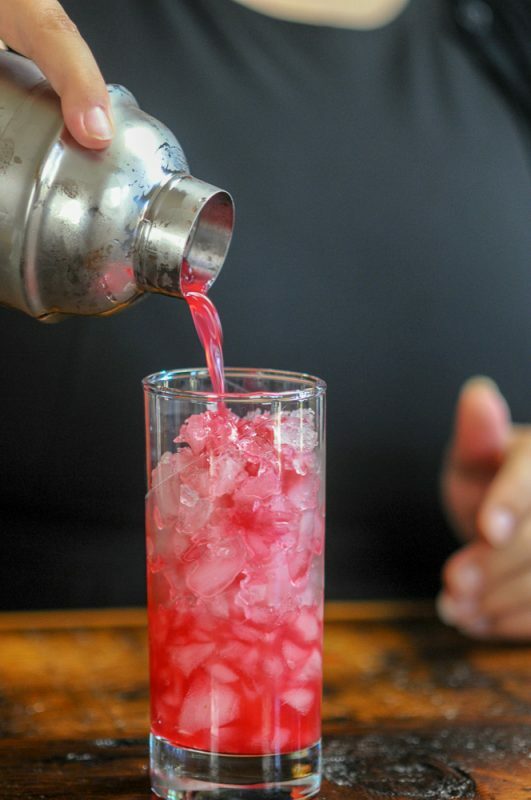 : ) Gin, Cherry, lime juice…yum! It’s a great combo! Thanks for stopping by! Cheers! Yum! You really can’t go wrong with some gin! No, we agree, gin is so versatile! I am going to try this with my sugar substitute and some gingerale, I don’t use regular sugar for health issues but I don’t see why it couldn’t work with a sugar substitute. It absolutely would work with a sugar substitute! 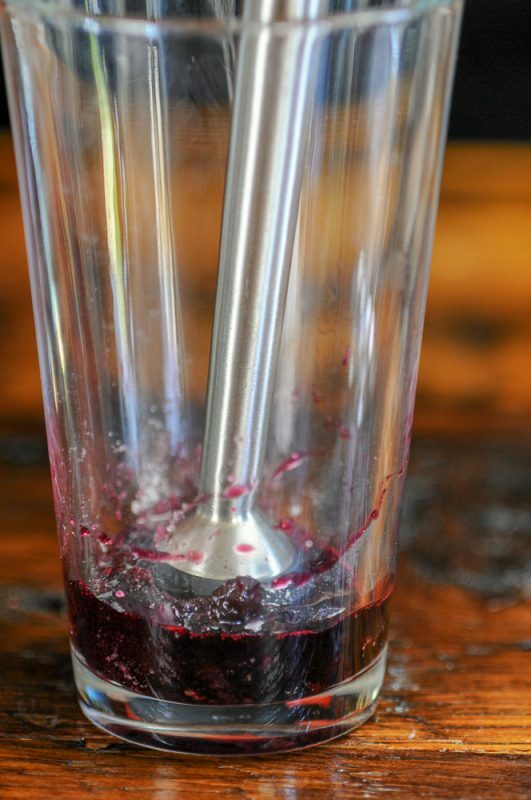 We sometimes make our simple syrups with 1/2 sugar and 1/2 sugar substitute for that very reason! Cheers! Thanks, hope you try it out! 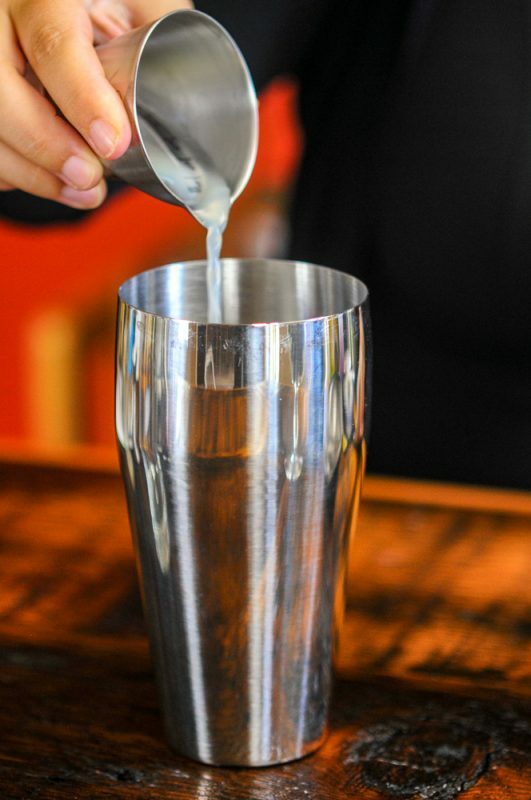 If gin still scares you, you could try vodka in this, but we love the flavor the gin adds! This sounds perfect! I love everything about it! 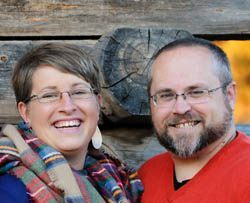 Thanks, we thought it turned out great! An incredible combination of ginger and cherry. Bravo! It’s a great flavor combo! Would be great virgin, as well! 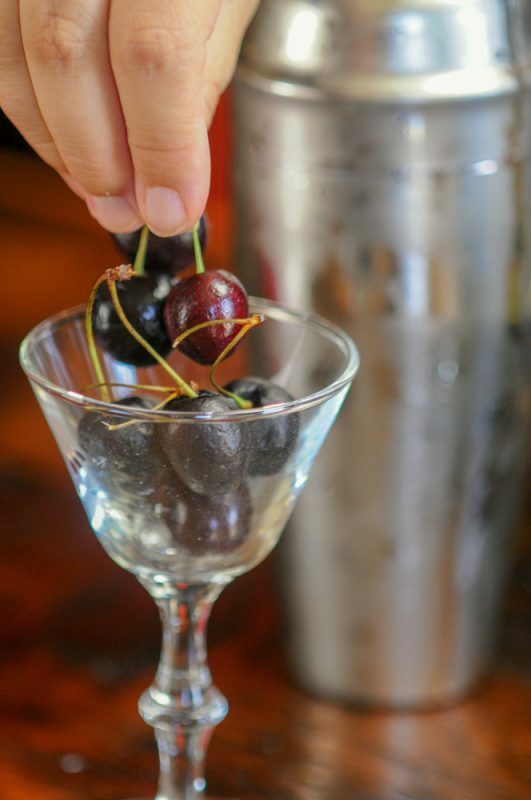 I love cherries… so this drink looks so, so refreshing! Perfect for a nice warm evening outside on the deck or porch! Must try! Absolutely perfect for those warm evenings outside! Cheers! Love the cherries, ginger and lime. Such a pretty color! Thanks, we thought it was a great flavor combo! Cheers! 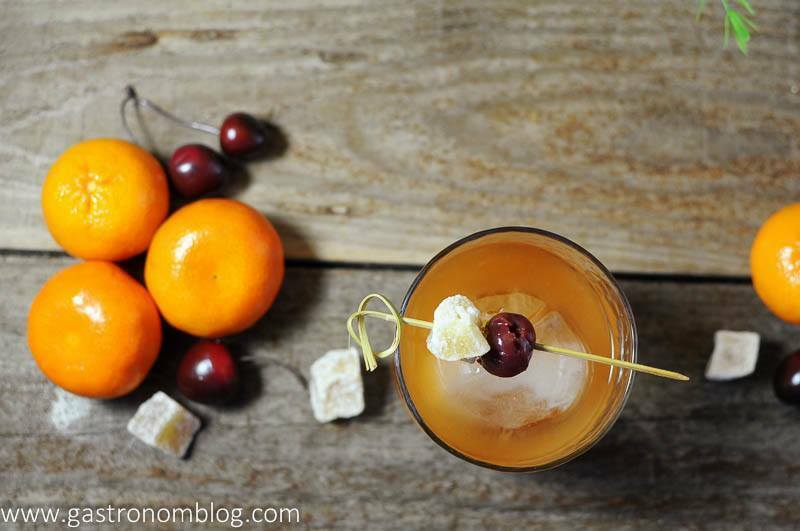 LOVE the taste of ginger and cherry together – Definitely going to have to try out this recipe! It’s a great combo! Hope you try it out, cheers! This sounds so yummy! I love ginger in my drink so I bet I would love this. Thanks, we think it’s a great combo of flavors! Hope you try it! Cheers! Thanks! Hope you did! Cheers! I knew I would love this cocktail when I read the title. I love pretty much anything with a maraschino cherry, and ginger is one of my favorite flavors of all times! Can’t wait to try this! It’s a great combo in this drink, hope you try it out! Cheers! Yum! I love all of these flavors and this drink looks delicious for Spring + Summer! Thanks, it is a great seasonal cocktail! Cheers! Thanks so much, it is a great combo of flavors! This looks delicious!! I am starting to warm up to gin and can’t wait to try this! Thanks, it is a great combo! Cheers!